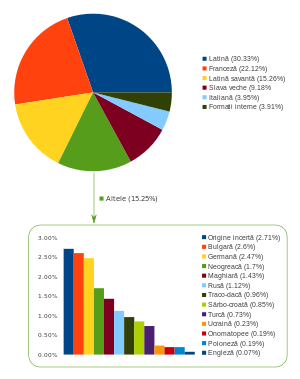 Slavic influence on Romanian is especially noticeable in its vocabulary, at about 10–15% of modern Romanian words, with further influences in its phonetics, morphology and syntax. 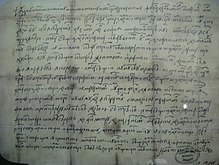 The greater part of its Slavic vocabulary comes from Old Church Slavonic, which was the official language of Wallachia and Moldavia from the 14th to the 18th century (although not understood by most people), as well as the liturgical language of the Romanian Orthodox Church. 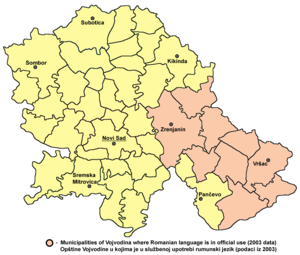 As a result, much Romanian vocabulary dealing with religion, ritual, and hierarchy is Slavic. 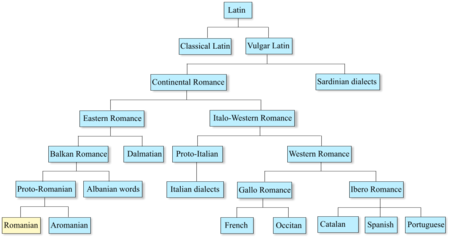 The number of high-frequency Slavic-derived words is also believe to indicate contact or cohabitation with South Slavic tribes from around the 6th century, though it is disputed where this took place (see Origin of the Romanians). Words borrowed in this way tend to be more vernacular (compare sfârși, "to end", with săvârşi, "to commit"). The extent of this borrowing is such that some scholars once mistakenly viewed Romanian as a Slavic language. It has also been argued that Slavic borrowing was a key factor in the development of [ɨ] (î and â) as a separate phoneme. ^ Eugen Munteanu. Dinamica istorică a cultivării instituţionalizate a limbii române, în "Revista română", Iaşi, anul IV, nr. 4 (34), decembrie 2003, p. 6 (I), nr. 1 (35), martie 2004, p. 7 (II); nr. 2, iunie 2004, p. 6 (III); nr. 3, octombrie 2004, p. 6 (IV); nr. 4 (38), decembrie 2004, p. 6 (V). Retrieved 11 May 2016 from [www.academia.edu] .